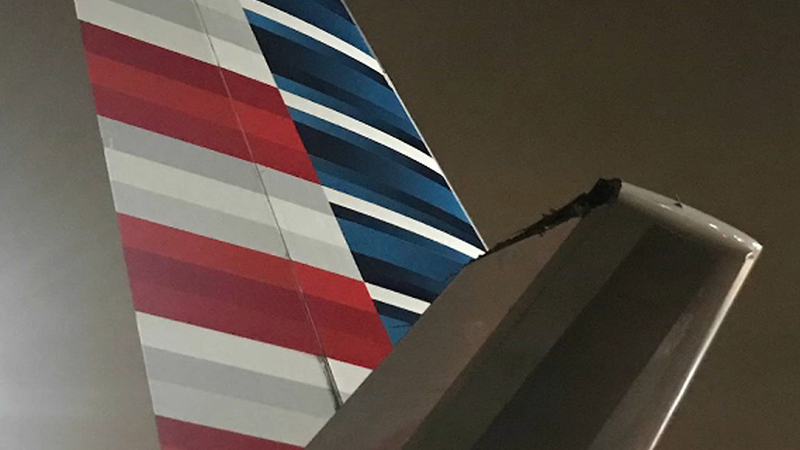 JAMAICA, Queens (WABC) -- The wingtip of a Delta Airlines plane came in contact with an American Airlines plane at JFK Airport Tuesday evening. The incident happened at about 7:10 p.m., according to the Port Authority. American Airlines flight 290, a Boeing 757 which was waiting for clearance to depart for Dublin, Ireland, was stationary at the time. Both flights were delayed for a few hours.